Karachi: August 13, 2011. (PCP) Dr. Nazir S Bhatti, Chief of Pakistan Christian Congress PCC, commenting on speech of Asif Ali Zardari, President of Pakistan and Co-Chairperson of Pakistan Peoples Party PPP, on celebration of “Minority Day” on August 11, 2011, in President House, Islamabad, said that there were black flags hoisted by Christians in Islamabad and there was not any celebrations of Minority Day in any major city of Pakistan by any association of Christians or civil society activist. There were protests and gathering to observe Black Day instead of Minority Day, in Islamabad, Lahore, Karachi, Peshawar, Faisalabad, Multan, Hyderabad and other towns of Pakistan where civil society activists gathered and urged government to award them equal rights in Pakistan. The Minority Day was celebrated in President House of Pakistan, which was attended by selected Christian members of parliament by PPP, some political Bishops and clergy members. 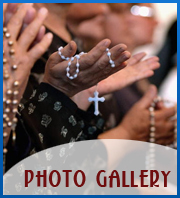 There was not any public gathering of Christians, Hindus, Ahmadi and other religious communities in Pakistan. Nazir Bhatti said founder of Pakistan Peoples Party PPP Zulifiqar Ali Bhutto, nationalized missionary schools, colleges and hospital and struck down Sunday as weekly holiday and turned Christians to be 2nd class citizen in constitution of Islamic Republic of Pakistan of 1973. 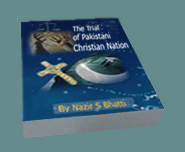 The Pakistani Christians hoped that on Minority Day, President Asif Ali Zardari will announce formation of Judicial Commission to investigate killing of Shahbaz Bhatti as it was assured by Dr. Paul, Advisor to Prime Minister of Pakistan, that he will put this issue in meeting with President and PM on August 11, 2011, but no such announcement was made which have dishearten millions of Pakistani Christians. There is Article 2, Article 302, Law of Evidence and Compensation and Blasphemy law victimizing Christians and other religious minorities but Asif Ali Zardari, President of Pakistan claims that minorities are enjoying equal rights in Pakistan. President of Pakistan also claimed that PPP have brought minorities in mainstream of life in Pakistan but it must be noted that Muslims are electing their representatives in parliament with their votes while Muslims are selecting and imposing Christian and Hindus of their choice on them as leaders. President of Pakistan mentioned 5% quota for minorities but there is not 5% representation of minorities in parliament nor 5% seats for minority’s youth in professional colleges. Nazir Bhatti said that PPP regime have turned Christians to be 3rd class citizen and President of Pakistan and Prime Minister of Pakistan are so scared of religious minorities that abolished Minority Affairs Ministry which was their national identity in Pakistan. Nazir S Bhatti demanded Election on reserved seats for minorities instead of Selection by Muslim groups and increase in reserved seats proportional to population.